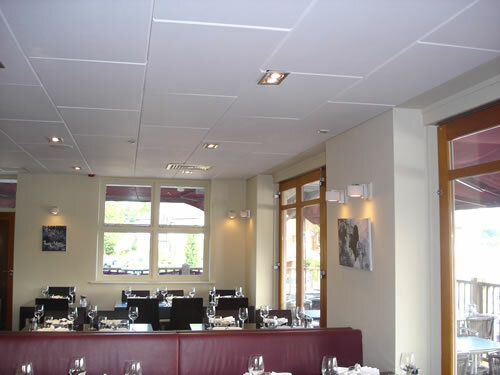 The need for sound absorption in restaurants and dining rooms is of the utmost importance. The constant rattle of cutlery, scrapping of chairs, clinking of glasses and cups, results in a migraine inducing environment. To be heard above the constant background noise, you have to raise you voice level to your companion. The people on the adjacent tables then have to raise their voice levels . This is known as the “cocktail party effect” where noise levels amplified due to the poor acoustics in the restaurant and dining room. Restaurants and dining rooms are notoriously noisy as the floor, walls and ceilings are all hard sound reflective surfaces. These act as “mirrors” to sound which ricochet noise around the restaurant. 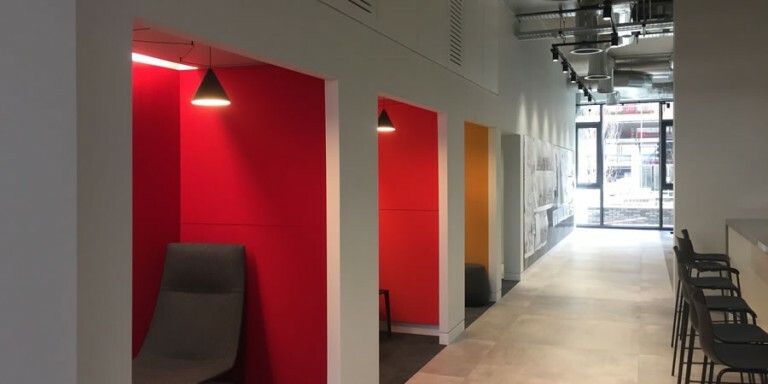 However , with a bit of careful planning and foresight , by installing sound absorbing panels , it is possible to transform the acoustics in the restaurant. The panels can be applied to wall areas and/or ceiling surfaces. 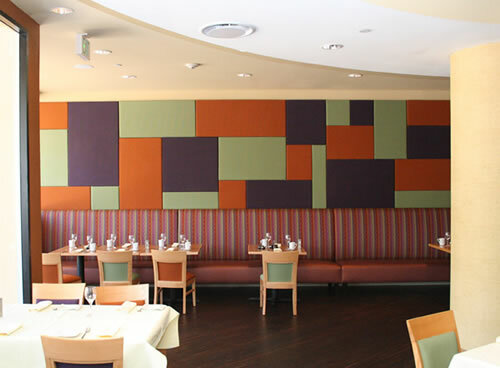 This is a clever way to introduce sound absorption as many restaurants have ordinary canvas panels on the walls for visual decorations. 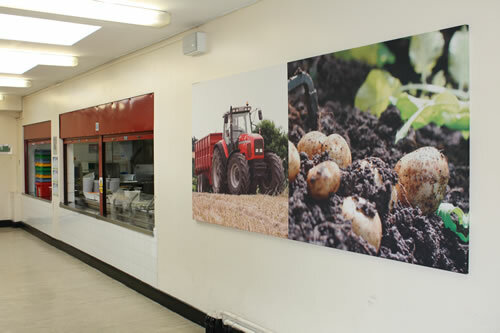 The Fotosorba digitally printed image acoustic panels can serve as both canvas and acoustic panels in one product. These can be strategically placed on walls with various different images from our library of thousands of images. Your own custom images can be printed also. Various sizes of these acoustic panels are available. 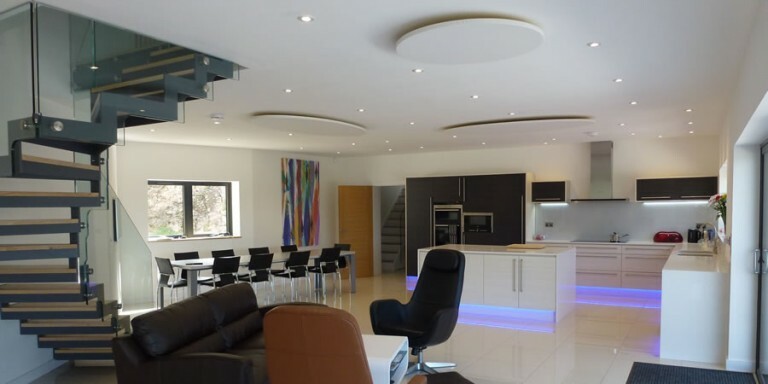 Ceilings are often the largest available surface onto which acoustic panels can be fitted . 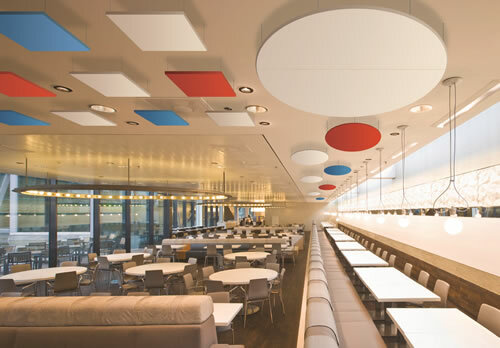 Echosorba is an easy and simple solutions as these acoustic panels are just glue bonded to the ceiling. They come pre-decorated in a white finish hence no further decoration is required. The surface is also easy to clean as it is just wiped cleaned. These add the “wow” factor to a restaurant or dining room as well as deadening the reverberant noise. The Cloudsorba come in various shapes and also in various colours which gives designers plenty of possibilities. The panels can also be suspended at different heights to give a “three dimensional “ effect. These come in a unique rustic finish which adds character when Toughsorba panels are fitted to a ceiling . White and Beige are standard colours although any RAL colour can be supplied subject to quantity. The panels can also be spray painted in black matt emulsion paint on ceilings to blend in with the various services on the ceiling such as ducting, electrical conduits, etc. The Wallsorba Type C Shadow joint version is a great way to introduce soft colours and deaden the noise inside restaurants and dining rooms. Custom sizes are manufactured to suit your wall surfaces. These panels are glue bonded onto wall surfaces and transform and reverberant noisy room into a quieter environment. This allows customers to concentrate on their eating and social experience with disturbance. 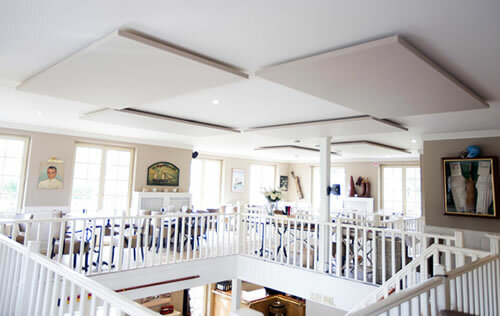 Soundsorba will be pleased to assistance in helping to provide the best acoustic solution to help cut down reverberant noise in your restaurant or dining room .